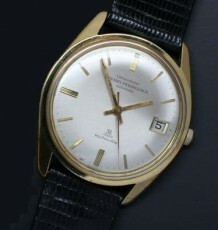 A solid 14-karat gold Doxa wrist watch with high grade Swiss movement. 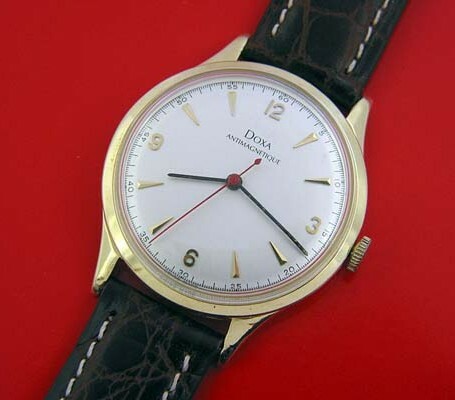 The watch manufacturer Doxa had gone mostly un-noticed in North America for the past 30 or 40 years until the recent re-issue of the famed Shark Hunter watches of the 1960’s and 1970’s. 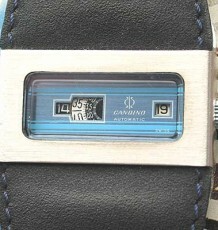 The brand always had a strong presence in Europe. 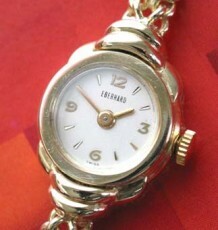 This solid gold dress watch has very clean lines and is the epitome of a gold dress watch. 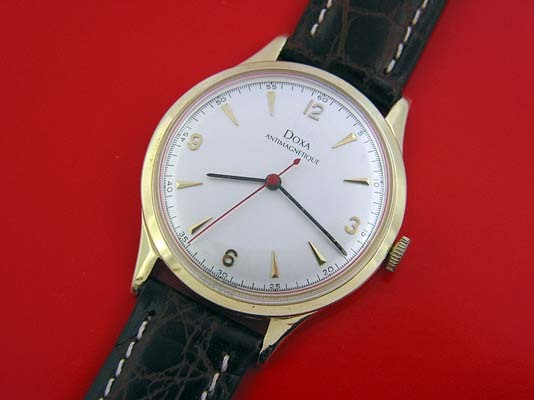 The 17 jewel 11 ½ ligne Doxa made caliber 147 movement was just serviced and is keeping excellent time. 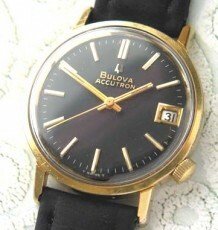 The solid gold case measures 35 mm wide by 42 mm long and is supplied on a black or brown leather strap.